Created by Sevan Aliksanian and Burag Celikian, the idea for Arka was born on a humanitarian trip to Armenia in 2007, where the duo came across a range of graphic-print posters and symbols. 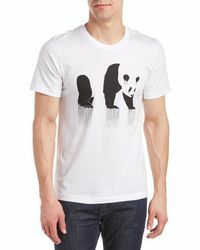 Upon their return to Los Angeles, the duo realized how the graphic T-shirt had become a lost art and this was the driving force behind the label. With bold prints and vivid colours, the collection of Arka T-shirts is defined by signature graphic prints.